The Netherlands is known, in part, for its vast tulip fields—neat, colorful rows of flowers with traditional windmills churning quietly in the distance. 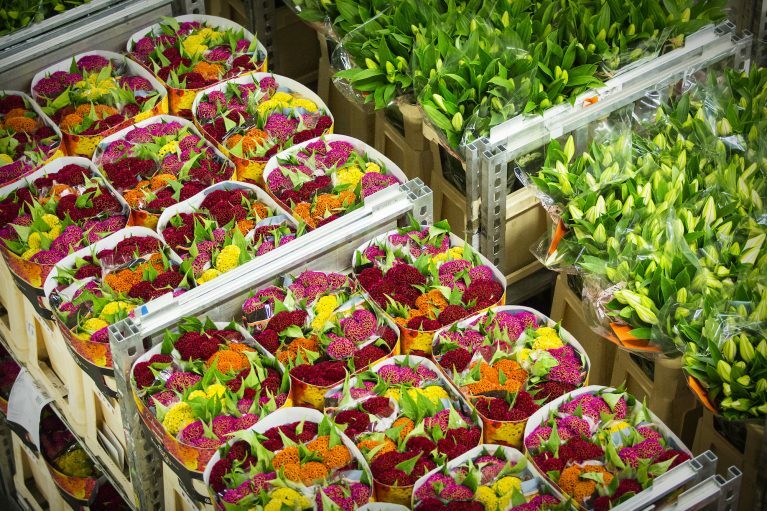 However, for insiders in the flower and plant industry, the country is also known as the world’s largest flower trading hub, thanks to Royal FloraHolland. 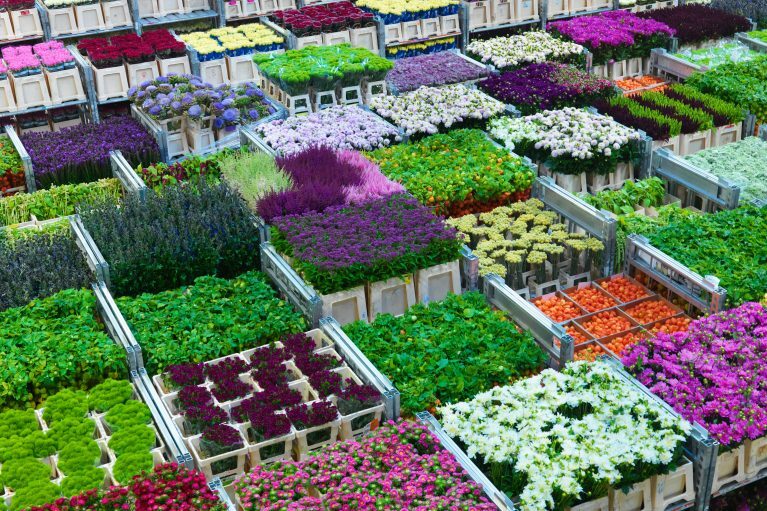 Founded in 1911 by a cooperative of Dutch growers, the international floriculture trading platform has since become the largest in the world, moving more than 12 billion plants and flowers annually throughout its four marketplaces. 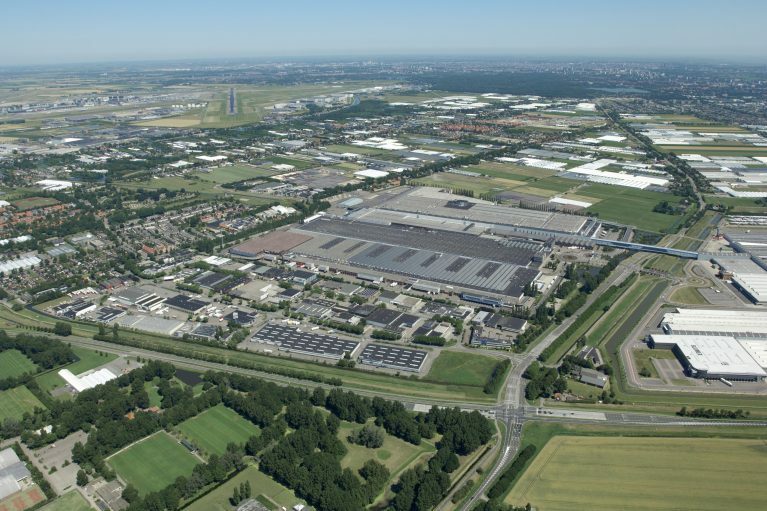 Just south of the Netherlands’ Schiphol Airport sits Aalsmeer, the largest of all the markets. Each year, 4.5 billion items are traded at the enormous facility, which is just shy of 14 million square feet. Kenya has become the Netherlands’ top flower-importing country in the past few years. The unique auctions take place each weekday morning from 6 a.m. until 10 a.m. Visitors eager to check out the fast-paced process are encouraged to arrive early. Following the Dutch auction system, the auction clocks start at a high price and then drop until someone purchases the product. On average, the three auction rooms at Aalsmeer see around 45,000 clock transactions per day. But perhaps the most impressive aspect of Royal FloraHolland and the Aalsmeer market is the logistics network. Once buyers at auction successfully purchase a unit of flowers, containers are sorted and sped around the giant facility to the correct loading dock. 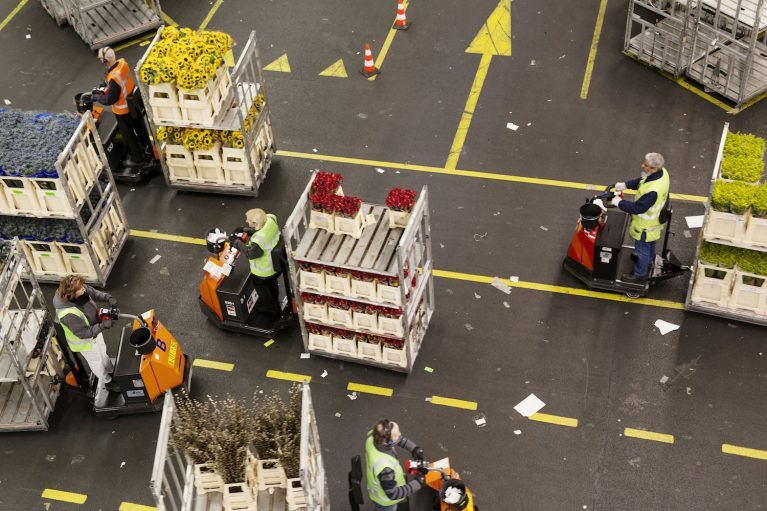 Typically, within 90 minutes, buyers load them onto trucks and head out to local markets, larger grocers or, oftentimes, to Schiphol Airport, where the flowers are immediately flown to every corner of the world. “Our business is becoming increasingly global. Products are traveling ever-greater distances to arrive in the Netherlands, with the distribution areas becoming increasingly diffused. Europe and its neighboring countries used to be our primary market, but now markets further afield are growing in importance,” said Marcel Claessen, chief operating officer at Royal FloraHolland. In fact, Kenya has become the Netherlands’ top flower-importing country in the past few years, supplying over 40 percent of total imported plants and flowers. The following graphic shows the remarkable numbers of Aalsmeer market and its top-selling blooms. A look at Aalsmeer market—the world’s largest building by footprint—from above. 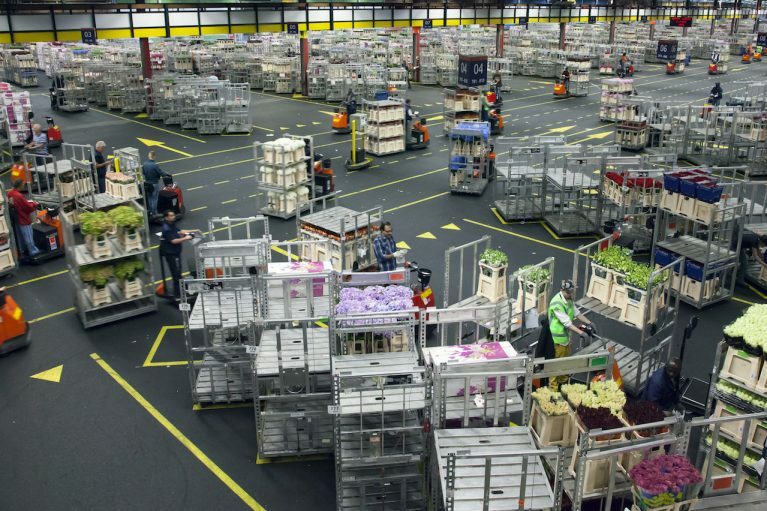 Inside Aalsmeer, flowers are carted throughout the enormous space. With around 20 million flowers traded here per day, the market's fine-tuned logistics make sure shipments stay on schedule. 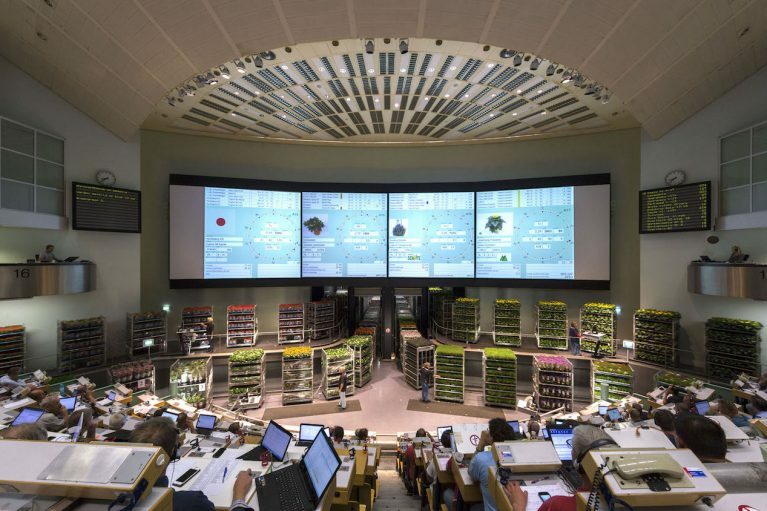 A look inside one of Aalsmeer’s three auction rooms, where around 20 million flowers are traded each day. A closer look at some of the different flower varieties available for sale at Aalsmeer. Blooms packaged and ready to ship off to their destinations.